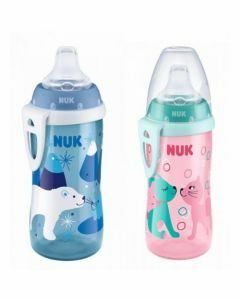 Help your little one transition from breast to bottle with the NUK First Choice Bottle with Latex Teat. *Assorted colours for Boy/Girl. Email website@mccabespharmacy if you require a specific type. When preparing feed, always follow the temperature specifications of the feed manufacturer. To retain vitamins and nutrients, the temperatures should not exceed 60°C.